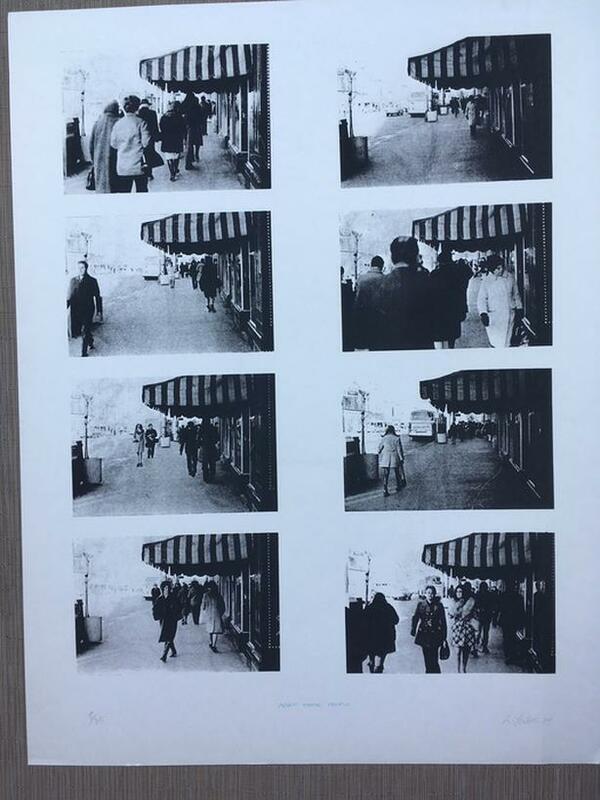 Limited Edition #8/35 has 8 black and white photographs of people walking on a downtown street. All the photos taken in the same spot. Signed and dated in pencil by Richard Yates. Richard Yates a Canadian visual artist born in Edmonton 1949. His works are in many collections including: Canadian Council Artbank, Alberta Art Foundation, and the National Museum of Stockholm and Sweden.